The last pooled NetEnt Jackpot won by a player was 5 weeks ago with a lucky winner on the Mega Fortune™ slot, grabbing a very attractive €2.6 million Mega Jackpot. The other Mega Jackpots have been climbing up even longer, the reason the 3 largest pooled NetEnt Jackpots are now altogether worth over €10 million. Which pooled NetEnt Jackpot do you prefer? 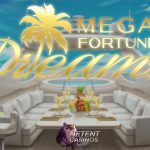 Would you go for the multi-million Mega Fortune™ Jackpot, its sequel Mega Fortune Dreams™ or are you curious if the gods are with you while playing for the second-highest online casino jackpot in the industry right now, the Hall of Gods™ Mega Jackpot. 3 largest pooled NetEnt Jackpots? Known as one of the greatest marketing tools in the iGaming industry, pooled online casino jackpots have been popular from the moment they became available. NetEnt has always been a pioneer when it comes to these network jackpots and with tens of online casinos in their network, the pooled NetEnt Jackpots grow with the speed of light. While enjoying the fun of a video slot, you’ll also have a chance to win one of the multi-million jackpots linked to either Mega Fortune™, Hall of Gods™, or Mega Fortune Dreams™. It’s these 3 pooled NetEnt Jackpots that can be found in the top 10 largest pooled online casino jackpots while a 4th pooled NetEnt Jackpot, linked to the Arabian Nights™ slot, is available as well. 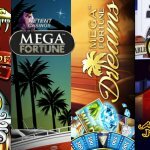 A pooled NetEnt Jackpot is linked to a network consisting of tens of NetEnt Casinos with the Mega Fortune™ Jackpot being available at most of the NetEnt Casinos. 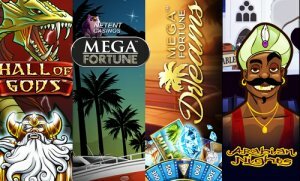 The Hall of Gods™ Jackpot is available at less NetEnt Casinos but at more of them than the exclusive Mega Fortune Dreams™ Jackpot. All three of them have the ability to grow up super fast. It was in 2013 that the Mega Fortune™ Jackpot made it to the Guinness World Records for a record-breaking payout of €17.9 million which was beaten a few years later. And having a look at today’s NetEnt Jackpots, I don’t think NetEnt is about to take back the record. Even though the 3 largest pooled NetEnt Jackpots are together worth over €10 million, none of them is getting close enough yet to that dazzling €17.9 million record. 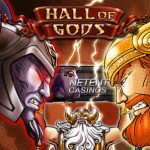 On top of the list of 3 largest NetEnt Jackpots, you’ll find the Hall of Gods™ Jackpot at this moment worth an incredible €4.6 million. The Hall of Gods™ Jackpot is getting more popular every day offering such a pooled jackpot. Although it didn’t exceed the average time it usually needs to end up with a player, we all know that these statistics aren’t much worth as it will be the Random Number Generator that’s responsible for the time of the next win. The highest Hall of Gods™ Jackpot ever won amounted €7,8 million and at least 10 more weeks are needed for this pooled NetEnt Jackpot to beat this record. With €3.7 million in the Mega Jackpot, this exclusive pooled jackpot game is definitely worth playing. 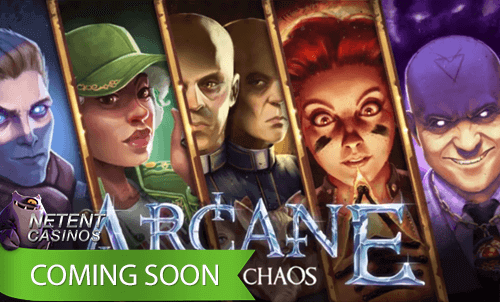 Climbing up much faster than the Hall of Gods™ Jackpot, there’s always a chance that it will surpass this Mega Jackpot in the very near feature. Linked to the Mega Fortune™ slot, the Mega Fortune™ Jackpot is the most popular of them all. In 2011 it was this popular slot that paid out a €11.7 million jackpot while a €17.9 million was won in 2013 via this exact same game. Today, it’s the 3rd largest pooled NetEnt Jackpot offering a very attractive €2.2 million Mega Fortune™ Jackpot, just another game you can’t ignore when visiting one of the NetEnt Casinos.